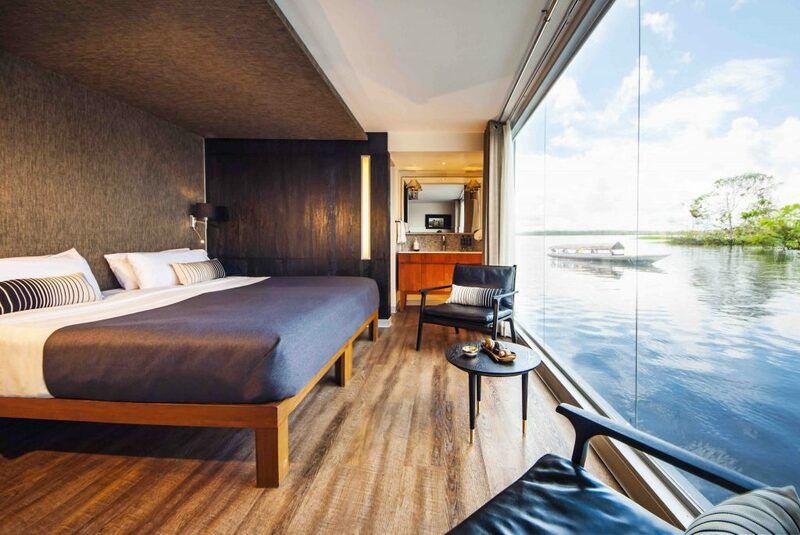 Aqua Expeditions, which operates in Amazonia and the Mekong Delta, takes sustainability seriously. You can read the details of their various programs here, but we appreciated several efforts in particular. Aqua Expeditions participates in Pack with a Purpose, a global initiative, encouraging all passengers to leave some space in their luggage to bring recommended supplies (from an online list) for area schools or medical clinics in need. 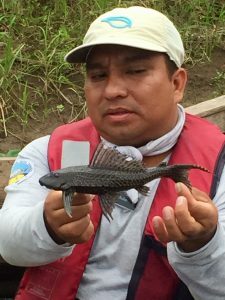 Aqua Expedition supports local environmental conservation and wildlife protection including work in Peru restoring the taricaya turtle population. 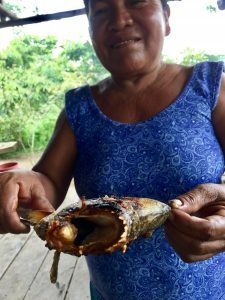 Finally, we felt the positive impact of the emphasis Aqua places on training and hiring locals from nearby Amazonian towns and villages: from cabin stewards right on up to the captain himself. Our guides, all locals, spoke multiple languages fluently including local dialects, Spanish and English. 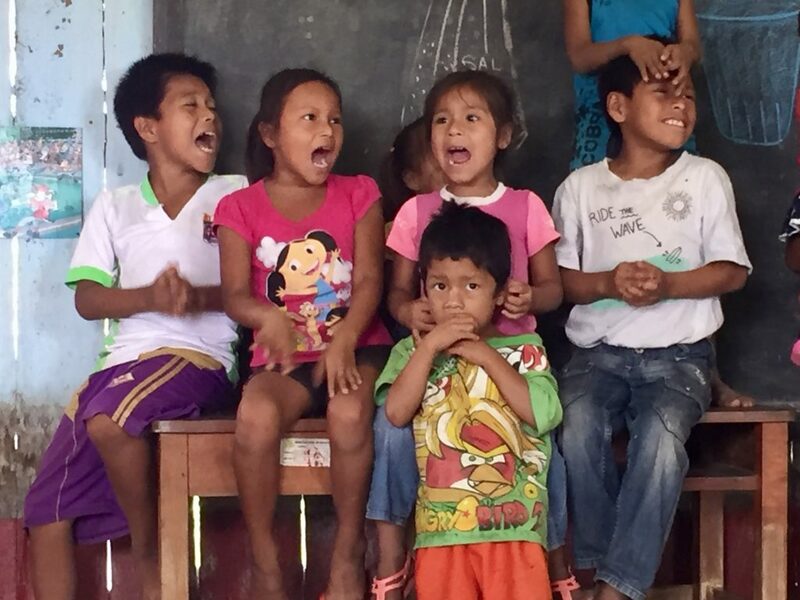 Several of them were also studying French at the Alliance Française in the Amazonian gateway city of Iquitos. Without companies like Aqua Expeditions, there would be very few such well-paid opportunities in the region. 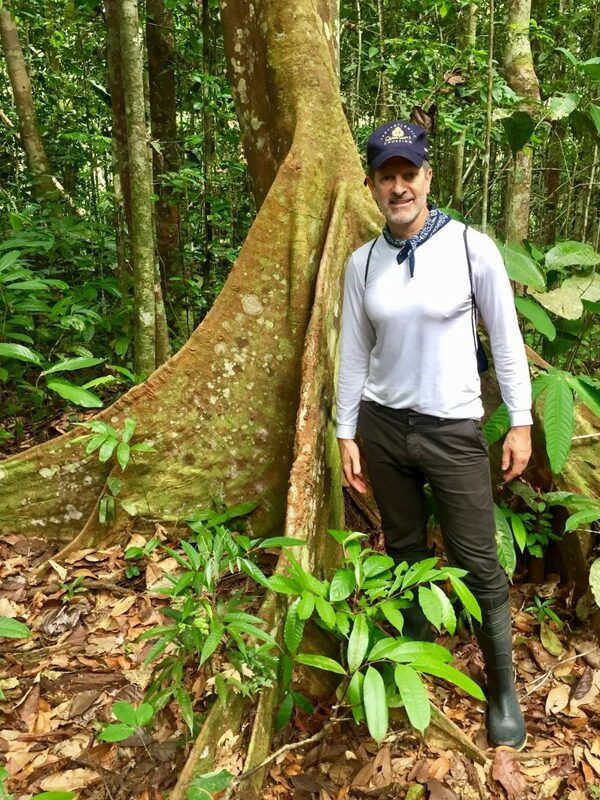 Ok, you’re in the Amazon jungle, one of the most remote parts of the world. While the local villagers are known to practice bisexuality, it’s not really possible to meet them one on one. And of course not recommendable. If you follow our advice and spend a good two to three days in Lima (see our What’s Hot: Lima piece in this issue), you’ll have plenty of opportunity to meet gay locals. There is very little cell service (except occasionally when the Aria pulls near a big village or town); and no WiFi on board. It’s ok people; it’s only for a few days! You can borrow movies from the (lovely) social director Jhuliana or do what I did; just pull back your curtains and enjoy “live TV” through your floor-to-ceiling glass walls as the Amazon in all its raw verdant glory drifts slowly by while the heavens produce a kaleidoscope of clouds and colors. 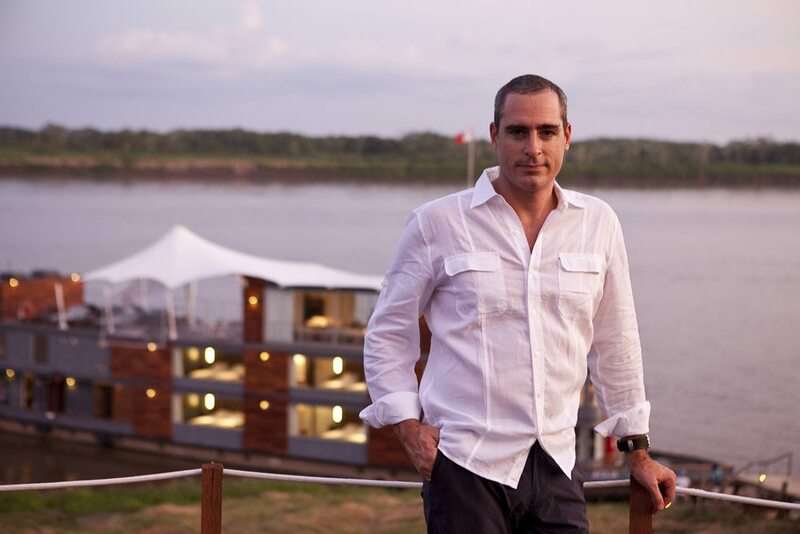 This is random, but note that Aqua Expeditions’ Italian founder and CEO Francesco Galli Zugaro is incredibly handsome. You may or may not see him on a cruise, but … you’re welcome. There is also a one week itinerary available which visits different ports and offers different experiences than the half-week itinerary. There’s a lot of talk about mosquitos. They’re definitely there and it may depend in part on how susceptible you are but I didn’t find them to be a problem in the least. The Aria offers DEET-based repellant. There is a closet-size gym tucked away on the third floor with room for two machines. You’ll have to get exercise of the outdoor variety. There is a wetter season from around October/November – May/June with April being the wettest month. A drier season occurs from May/June – October/November with September being the driest month. I personally loved the “dry month” visit since we were able to hike a lot overland and go into the villages to meet locals. 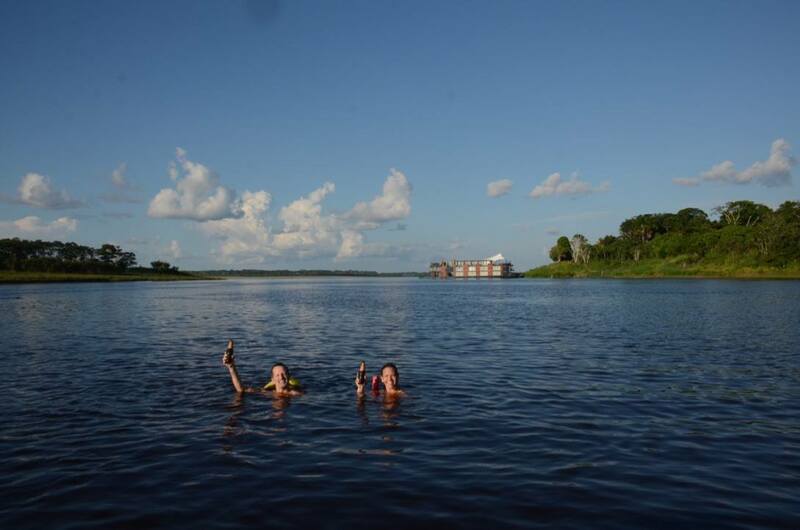 Those opportunities are more limited during wet months; however the mighty Amazon is all that much more powerful and truly awesome in the high-water season and there are plenty of waterborne activities including canoeing, swimming and exploration deeper into otherwise inaccessible parts of the jungle by skiff. Invest in AIG Travel Guard travel insurance. They’re a client of ours but we’ve grown to believe in the importance of such insurance especially when you’re going to a place whose nearest quality medical care may be hundreds of miles away … by helicopter! Less is more, girl. 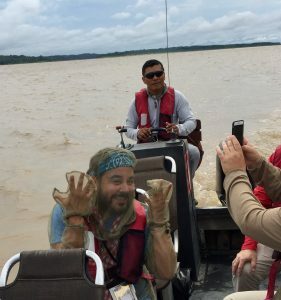 You don’t want to be journeying from home to Lima to Iquitos to the ship with a set of your finest Louis Vuitton luggage. Aqua Expeditions outlines key items to pack. But just think casual and comfortable breathable layers. 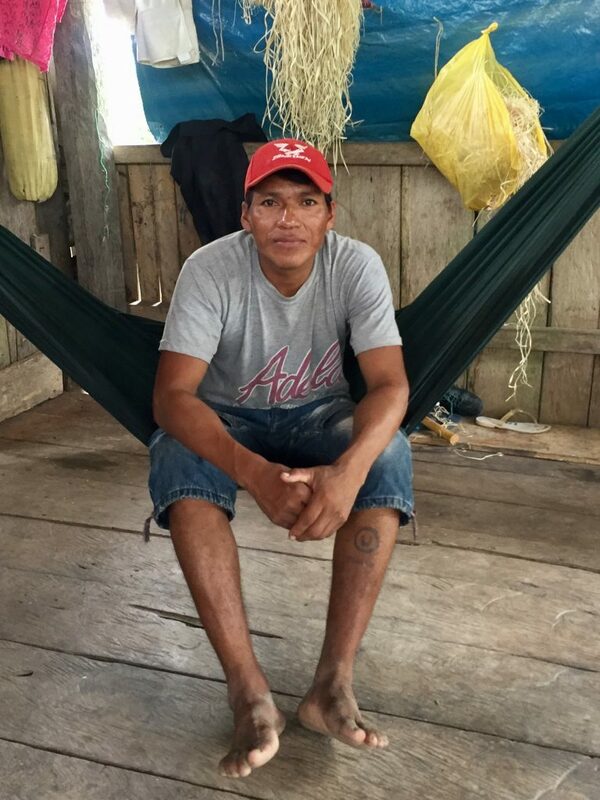 It’s hot in the jungle but you don’t want to expose arms and legs at dawn or dusk or when hiking in overgrown areas. Don’t forget sunglasses. 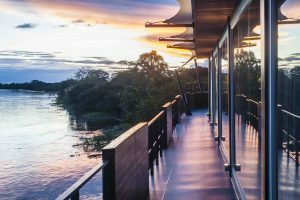 The light, often directly overhead (remember, the Equator), can be bright and reflects off the river and other wet surfaces. Bring an iPad preloaded with books, movies and shows to catch up on. Or not. And just watch the scenery pass by so mesmerizingly. Change your dollars in Lima for lots of small bills so you can purchase village-made arts and crafts, which are beautifully done! If traveling at high water times (November through June), your list will include more watertight options, naturally. Also if you love to shoot (photos) birds and small animals, you’ll want to invest in a decent SLR camera. 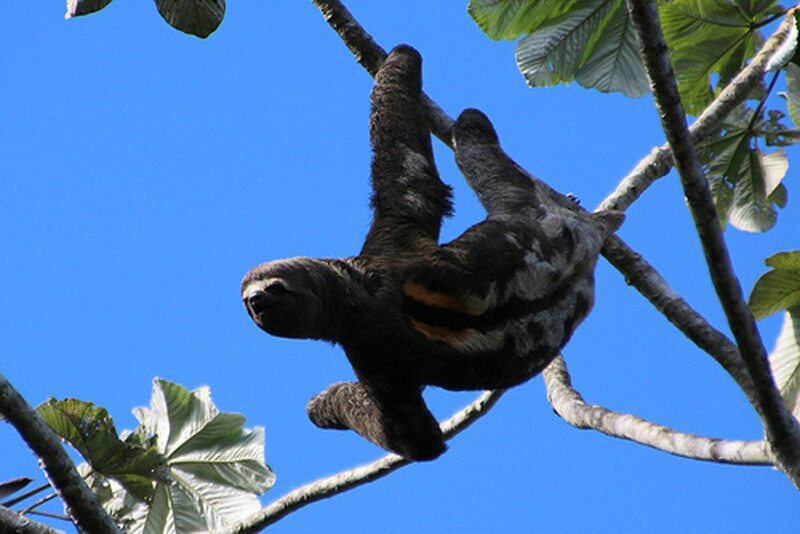 If you want to see these critters, you’ll definitely want to invest in decent binoculars. You want to do something very few others in your Facebook newsfeed have done. 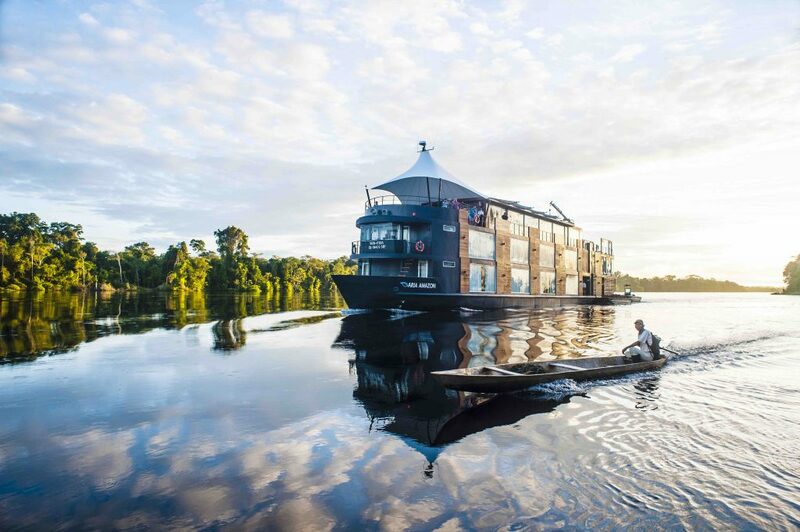 The Amazon is on your must-go list. You love adventure and the wilderness, but really enjoy a little pampering. You love great food. Multiple times a day. You really need a gay experience. You can’t be disconnected from WiFi or cell for this long because of work. Or you suffer from Internet addiction. It’s a thing. There are a number of options for flying into Lima and onto Iquitos to meet your ship. We flew on JetBlue which has convenient non-stop direct flights once a day from their Ft. Lauderdale hub to Lima. The article above is editorial based on a press trip. ManAboutWorld highlights tours and cruises we’ve personally participated in, and is editorial, not advertorial. Like virtually all travel publications, we sometimes accept discounted and sponsored travel, but ManAboutWorld is beholden to no one but you. Our recommendations are based solely on the experience and opinions of our editorial team and trusted network, putting our readers’ interests above all. If you ever have an issue with anything we recommend, please let us know. We always have your back, and your travel satisfaction in mind. Read our full disclosure here.